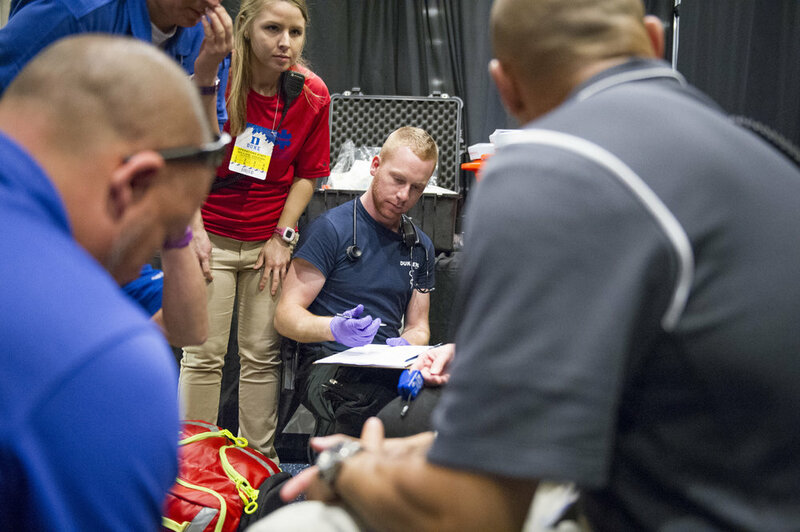 Duke EMS has been in existence for over twenty years, serving the Duke community with event medicine services at all Duke Football and Basketball Games. We are constantly growing, and becoming a more integral part of the community every year. To learn more about Duke EMS, including current news and the history of the organization, please continue to explore our website to learn more about our squad and what we do at Duke. If you have questions about becoming certified as an EMT-B in North Carolina, or if you have questions about how to join the squad, you will find more information here. If you would like to request EMS coverage for an event, you will find out how to do so here. Ready to take the next step? You can apply to join the Duke University EMS!